New Orleans Square isn't really that big, but as far as Christmas decorations density goes it packs quite a punch in its small square footage--especially at night. All the glowing lights and wreaths decked out upon the French Quarters facades and draped over the streets and narrow avenues make for quite an enchanting effect. If it isn't pleasant enough to take a stroll through the Orleans lanes during the regular season, the holiday season really amps things up! 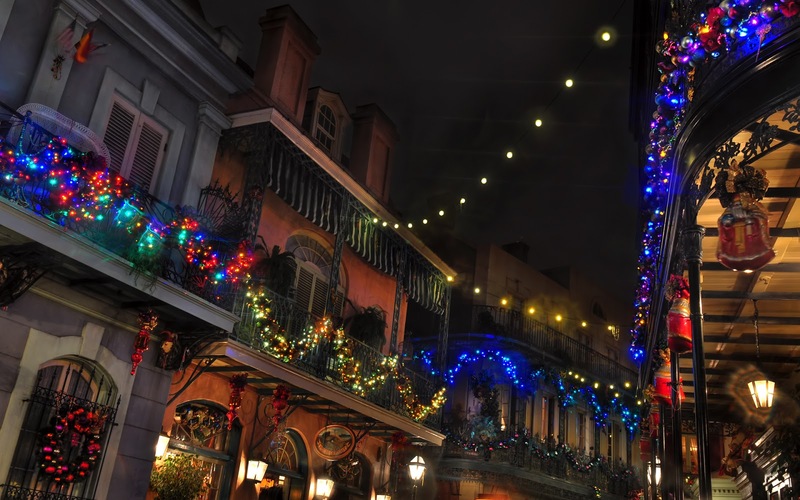 Another glimpse at the holiday lights of New Orleans Square.